Ayase Haruka who born as Aya Tademaru on March 24, 1985 in Hiroshima Prefecture, is a popular Japanese actress, model, & singer. Ayase excels in many sports. Ayase took part in "a Chūgoku region Ekiden tournament" as a junior high school student. But when Ayase was a high school student in Hiroshima, ayase moved to Tokyo and entered Horikoshi High School. Ayase entered Teikyo University Junior College in 2003, and later dropped out with her own. Then, during her freshman year in high school, Ayase started her career in the entertainment world by successfully auditioning for the 25th Horipro Talent Scout Caravan. At first her parents objected to her pursuing a career in entertainment, but relented once they noticed her determination. Upon her arrival in Tokyo, Ayase worked out frequently and trimmed her weight by 6 kilograms. Then in 2004 Ayase rose to stardom as Aki in the TV series "Crying Out Love". Ayase Haruka started her career first as a gravure idol, releasing a photobook and DVD. Haruka then branched off into acting landing small roles in televsion dramas, with the 2003 Fuji TV drama "The Way I Live" (Boku no Ikiru Michi) making a positive impression on the public. 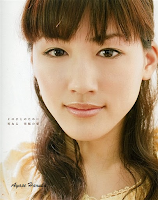 Her career then went into overdrive with her popular performance as Hirose Aki in the 2004 TBS televsion drama "Crying Out Love, in the Center of the World." Haruka beat out 723 contestants for the role of Hirose Aki in "Crying Out Love, in the Center of the World." More recently, Haruka has become just as popular on the big screen performing as the leading actress in such films as "Cyborg Girl" "Happy Flight" "Ichi" and "Oppai Volleyball." Her diversity as an actress should also be noted as Haruka performed as a cyborg in "Cyborg Girl", an airline stewardess in "Happy Flight," blind swordswoman in "Ichi" and a junior high volleyball coach in "Oppai Volleyball". Haruka has also created a successful career in music. On March 24, 2006 Haruka released her first single "Period" (ピリオド), the lyrics of which were written by Kaori Mochida from "Every Little Thing" and Takeshi Kobayashi. Kobayashi, the producer of the single, also composed and arranged the music. Her debut single went straight to #8 on the weekly Oricon singles chart. 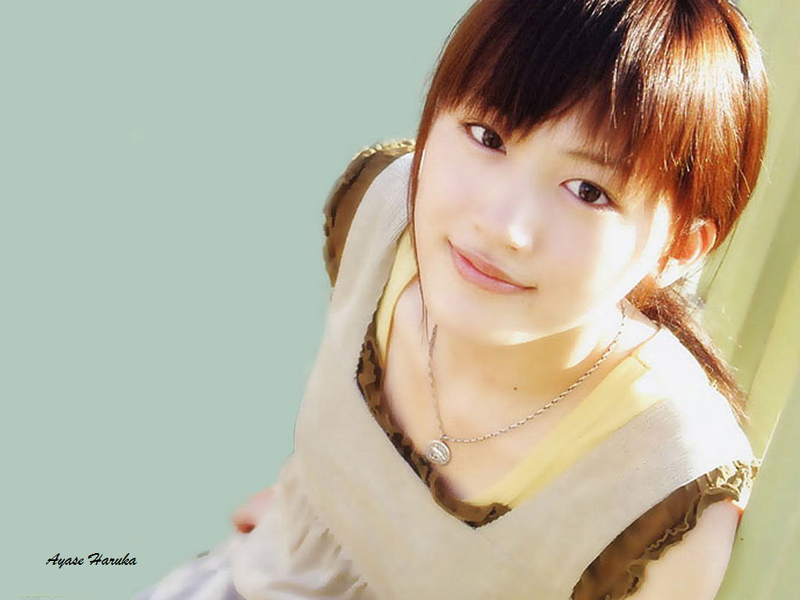 Haruka also released two other singles, "Kosaten Days" (2006) and "Hikoki Gumo" (2007), which received similar levels of success. And Haruka has also released two photo books: "Birth" in 2001 and "Heroine" in 2004.